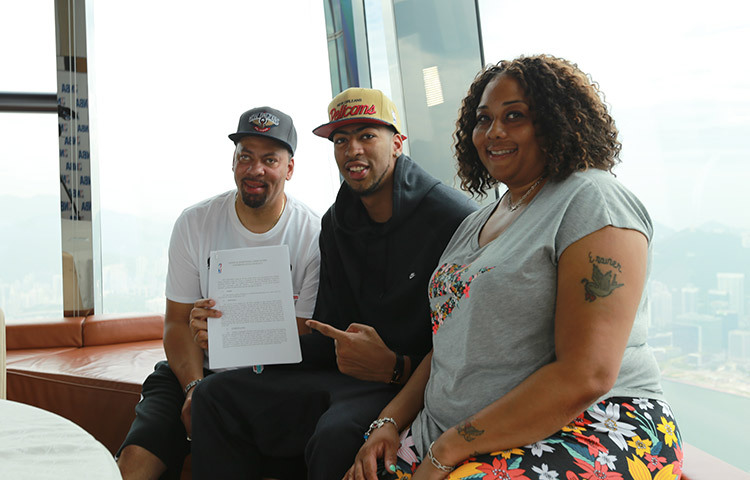 HONG KONG – Sitting seemingly on top of the world in a Ritz-Carlton conference room 118 stories above the majestic Victoria Harbour, Anthony Davis signed his five-year contract extension with the New Orleans Pelicans at 12:01 p.m. Thursday, 11:01 p.m. Wednesday in the Crescent City, nearly 8,500 miles away. Davis was in this vibrant port city of 7.2 million people as part of a promotional tour for Nike called Rise. And it's only fitting that one of the league's fastest rising stars cemented his future with the Pelicans while in China, which has one of the fastest growing segments of the NBA's fan base. "Thanks to the Pelicans organization and all my fans across the world, China and the United States and especially New Orleans. … I'm here for six more years. Let's win some championships. Go Pels!" Davis began that championship process this past season when he led New Orleans to the playoffs for the first time since the 2010-11 season. Davis finished the season averaging 24.4 points, 10.2 rebounds and 2.9 blocks a game, tops in the NBA. He was voted a starter to the All-Star Game for the first time in his three-year career and was a top MVP, Defensive Player of the Year and Most Improved Player candidate. He also had the league's best player efficiency rating. 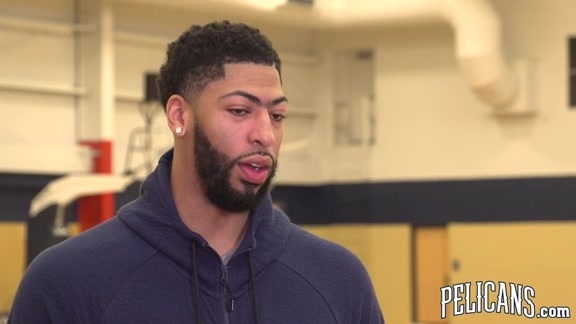 Even though the Pelicans were eliminated in the first round of the playoffs by eventual NBA champion Golden State, expectations are high for Davis and the Pelicans now that he's committed to the franchise for six more years and that the team has hired Alvin Gentry as head coach. Gentry has said he plans to have his team play at a much faster pace this season with Davis, a 6-foot-10, 220-pound athletic marvel, as the featured element. 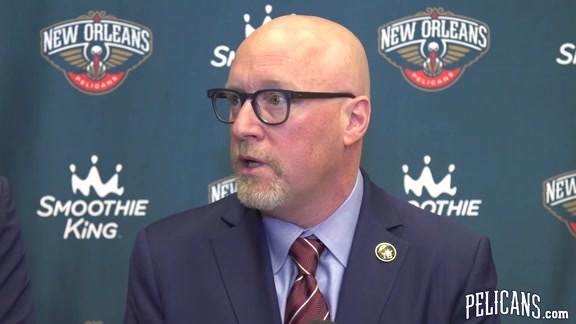 Davis' signing was the first of four for the Pelicans as they also signed centers Omer Asik and Alexis Ajinca and forward Dante Cunningham to new deals. He was mobbed by teen-age fans, some sporting Pelicans jerseys, after he finished a basketball clinic at a court in the middle of a public housing area in Hong Kong on Wednesday. Laundry flapped from the windows of the 20-story apartment buildings surrounding the court on a hot humid afternoon as Davis spoke to the children about putting in the work necessary for their dreams to become reality. It's something Davis has been doing for the Pelicans since they selected him with the No. 1 overall pick in 2012. "Find that special thing inside of you to reach your dreams," said Davis, a 22-year-old just a few years removed from a relatively quiet high school basketball career in Chicago. "Capture that glory."